So hopefully most of you read my earlier post about new features coming to VNX. Well I wanted to write some more about new things coming to VNX. 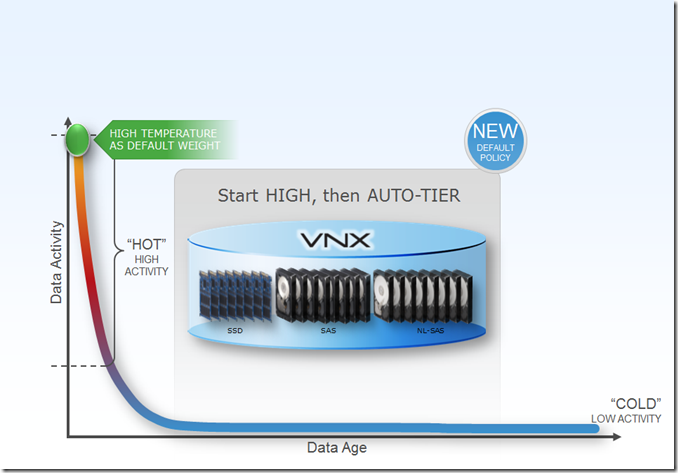 You may have been reading else where about a change coming to tiering on the the VNX, and I’m here to confirm this rumor. 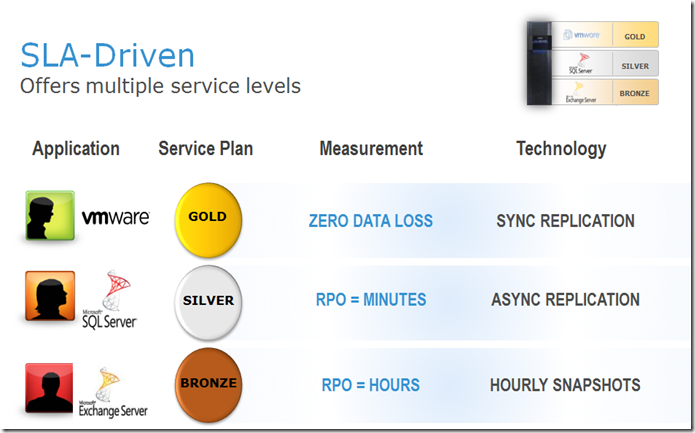 EMC VNX engineers have reversed the way we do tiering on the VNX. 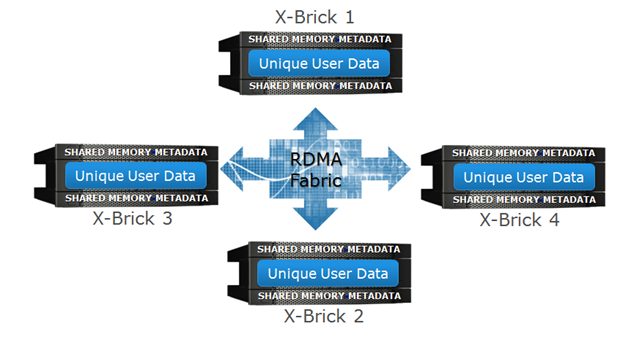 With traditional storage pool with FAST enabled, data would be loaded in and then promoted to the flash storage when it was deemed hot. Now we are completely reversing that policy. Since most of your data is only read within the first few days, all new data coming into the VNX will be considered hot. After a few days of little to no access, the data is demoted down to cheaper & more abundant storage. This change means that you no longer have to wait to see advantages of FAST as everything will be on your fastest storage right away. Combining this with the new changes to pools that I talked about before, and you’ve got a 2 pronged approach to getting your data the fastest without breaking the bank. This next goodie isn’t as much a direct enhancement to the VNX as it is an overall solution. 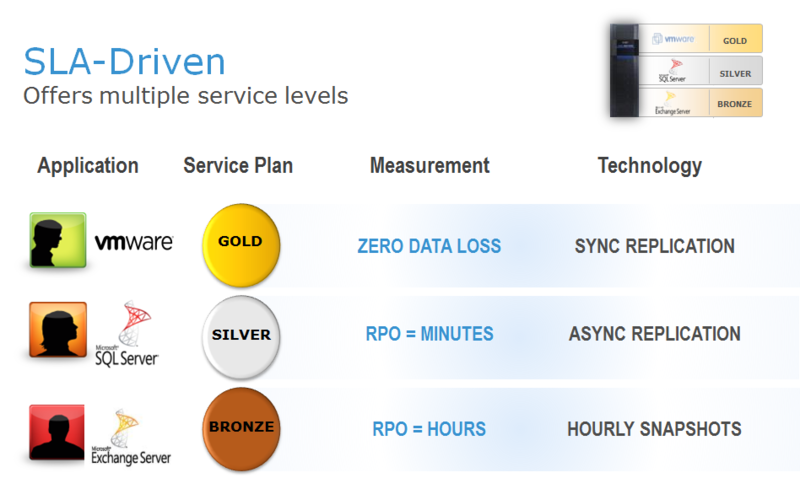 EMC is introducing a new solution called AppSync. 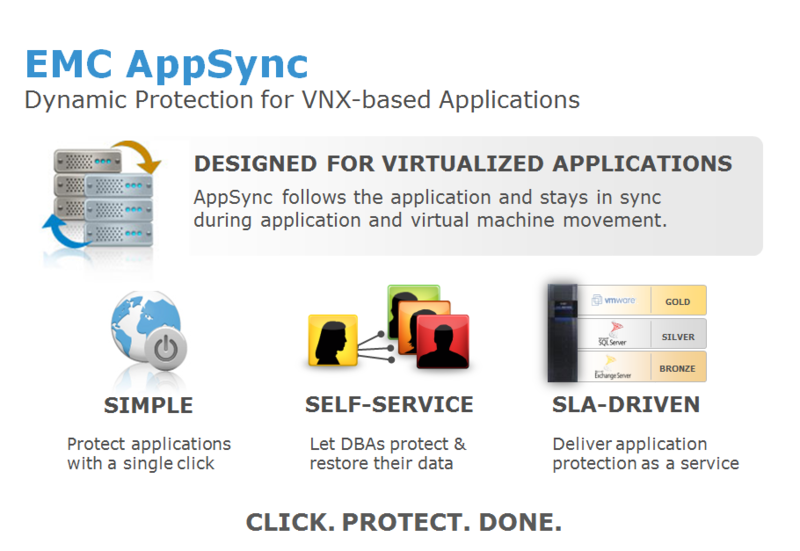 AppSync offers a 1 click protection package for certain virtualized applications you already have stored on the VNX. What you have here is the ability to sync with VMware, Microsoft SQL Server, and Microsoft Exchange with SLA driven protection. The 2nd half of this application is the ability to share this out to other admins in your infrastructure. Currently, if you want to restore something, you need to talk to the storage admin to tell them to roll back the lun. 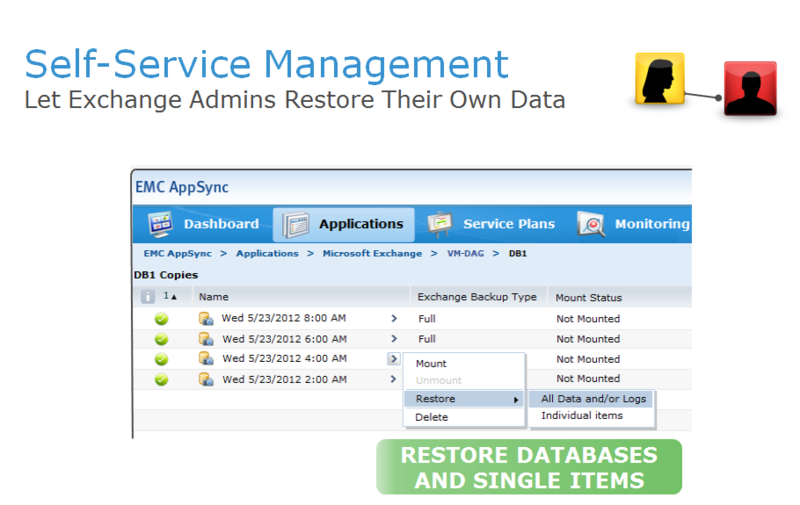 With AppSync, you can give access to the to the application admins and let them handle the restore. An exchange admin can now go in and restore a single mailbox without effecting the other users or bothering the storage admin. This is just Win-Win in my book and I can’t wait to see this in action. 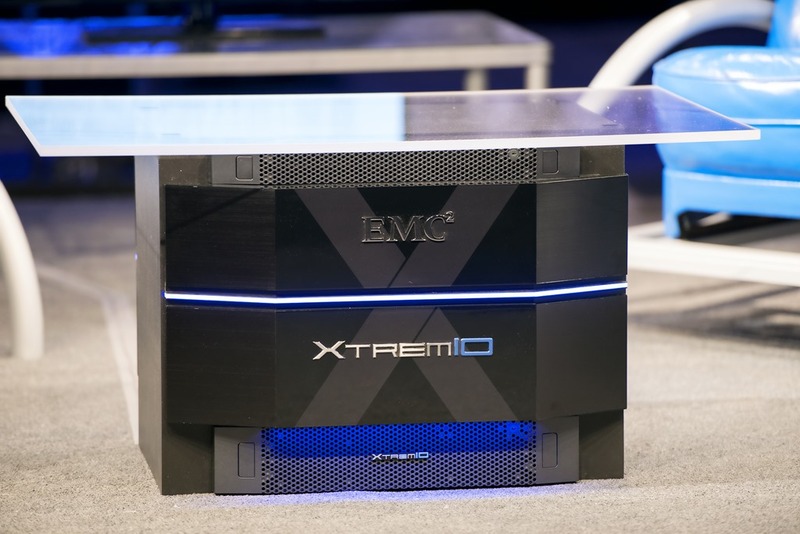 My sources tell me that this will be available as a separate package in the 2nd half of 2012, but that is still subject to change and you should talk to your EMC Sales rep to get a final date of availability.